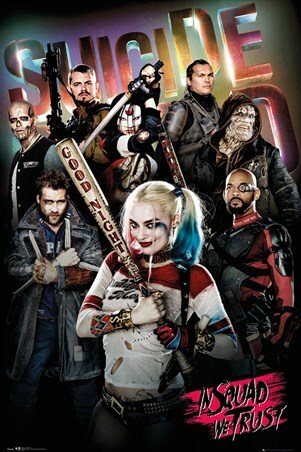 Get ready for absolute carnage from this unlikely group of superheroes! 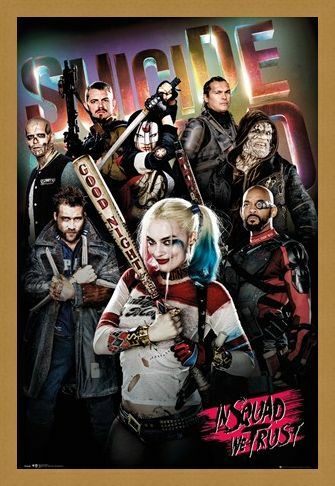 2016 film Suicide Squad sees a secret government agency recruiting a group of imprisoned supervillains to execute dangerous black ops missions, in order to secure some form of mercy. 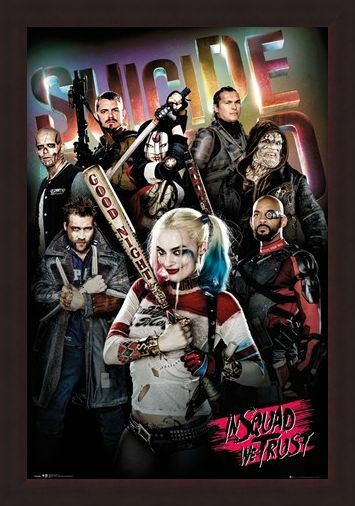 This explosive poster features Harley Quinn, Deadshot and their fellow Squad members, alongside the caption 'In Squad We Trust'. So, do you think they'll succeed in their mission? 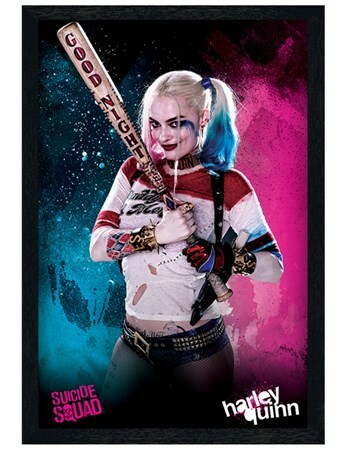 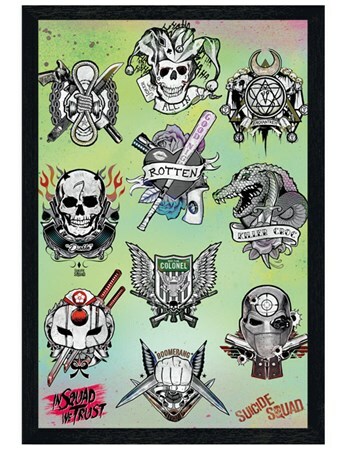 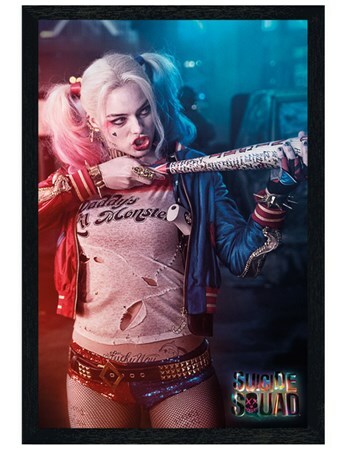 High quality, framed In Squad We Trust, Suicide Squad poster with a bespoke frame by our custom framing service.